Just like you’d find on other picture sharing services these days, Instagram now offers Face Filters. With these, you can have some fun with silly masks or filters, then share them with friends and family. 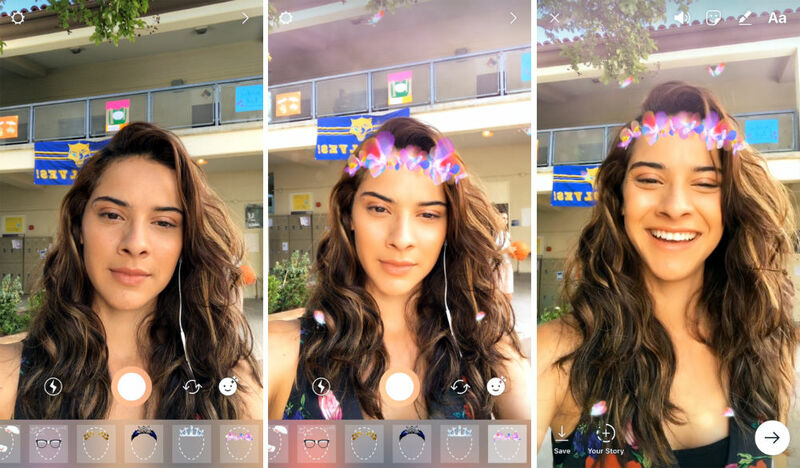 I could go on like every other tech journo about how Instagram straight snatched this feature from Snapchat, but I don’t think anyone really cares. You know who might care, though? The users. Instagram users will surely take complete advantage of the addition of face filters. To get started, make sure you have the latest version of the Instagram app, then tap the new face icon in the bottom right corner when in the camera section of the app. Face filters can be pure comedic gold, so go have some fun.